to provide a practical application of model-based development. Experiences of using models and relating models with their applications in the real-world development process. To enable a maximum of interaction and discussion between the participants, the workshop will be held in two parts. First, selected papers are presented including a short discussion after each presentation. In the second part, short position statements are given, as introduction to a panel discussion by the speakers, to initiate a workshop discussion with all attendees. Position papers as short problem statements, research questions, or experience reports may be 2 to 10 pages in IEEE Computer Society format. These papers may be accepted if they contribute to the goals of the workshop, especially if they inspire the workshop discussions. Accepted position papers will be published on the workshop website. High quality full papers and industrial research and experience reports may be published in the IEEE Explore Digital Library, pending agreement by the program committee. Paper submitted in these categories which are not accepted by the PC may be encouraged as position papers after review. All submissions must be the original work of the authors, and may not be concurrently submitted to a conference or journal. 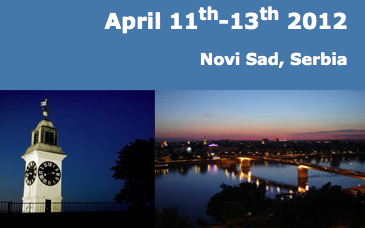 The program committee will have access to the database of papers submitted to IEEE ECBS 2012, and authors who submit to this workshop should take into account the concerns of reviewers when considering a submission to the MBD 2012 workshop. Note: All dates are 2012, all times are 24:00 in the latest time zone (GMT -11:00).